Unfortunately, there are enough people ignorant enough to make Astrology flourish these days and it's actually interesting if for no other reason entertainment value to see what astrology thinks our days weeks months and years have in store for us . 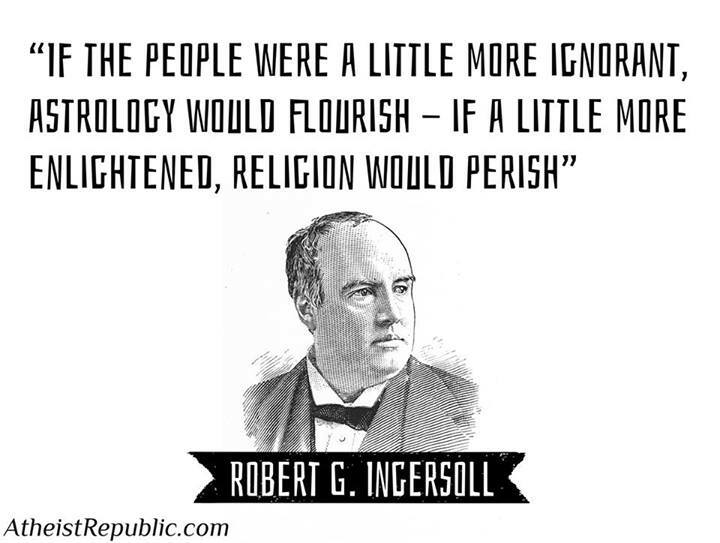 But this being said I think enough people are enlightened enough that religion may be on its way to perishing though I would not have thought this some time ago. I think this is the case because people are learning at a faster rate how ridiculous theism is than they are learning how ridiculous astrology is. In fact I think its almost natural for those who used to be theist to gravitate toward things like astrology as they feel the need for a filled void where religion once stood in their lives and astrology to them is something to believe in. Eventually though if they learned to question theology in time they will learn to question astrology too no matter how convincing the vague descriptions and predictions are because they have learned to question things even a broken wheel can get you to follow it for a little bit.